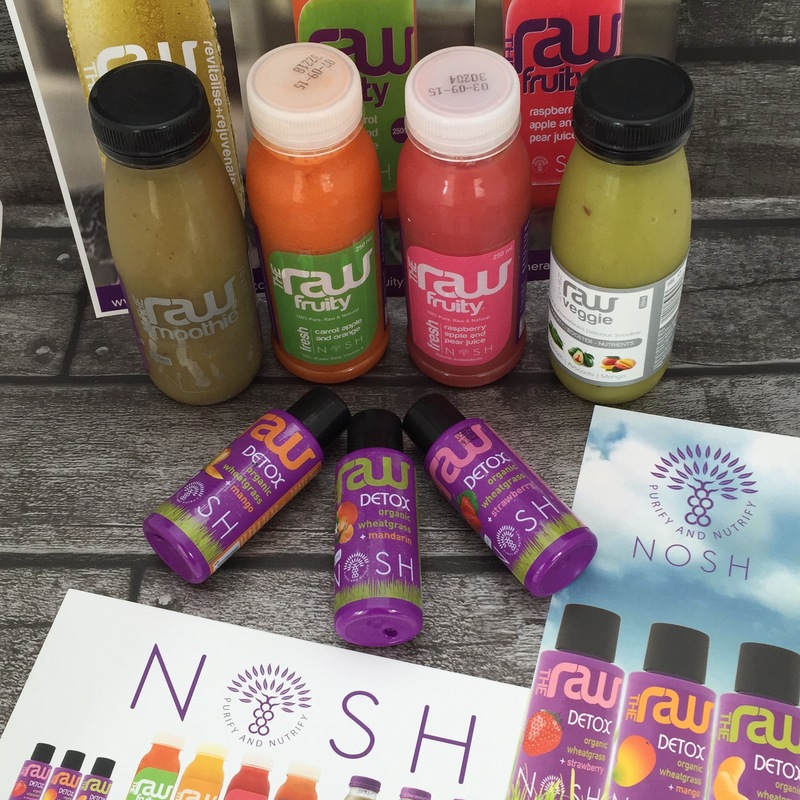 Nosh are a wheat, dairy and gluten-free company as well as vegan. None of their products are heat-treated so all the nutrients and enzymes are as nature intended. 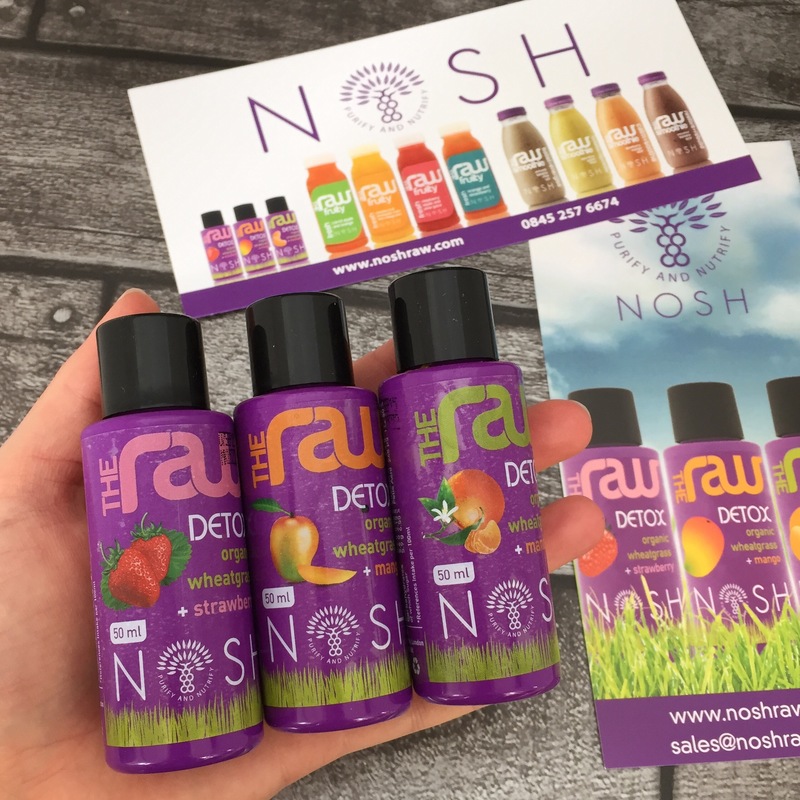 Nosh was founded in 2008 by Geeta Sidhu-Robb as a result of spending years fighting her son’s multiple food allergies and anaphylaxis as a baby. Geeta had to give up her work as a lawyer to look after her son and meanwhile, developed her own solutions using nutritious, balanced meals, alternative therapies and natural supplements. Using just these natural methods, Geeta completely cured his eczema and amazingly, reduced his asthma to an intermittent event! Geeta hopes that her story inspires others to change their own lives as it has changed so many of her clients’ lives. Every day, we eat things we shouldn’t and come into contact with all sorts of toxins without even knowing it. We are not designed to deal with this sort of overload and can become backed up. Our systems then start to fail. Doing a detox allows your body to catch up and process all of that build up bringing your body into homeostasis or balance. Raw Food Rocks! Nosh bottle live vitamins, minerals & nutrients without heat-treating. 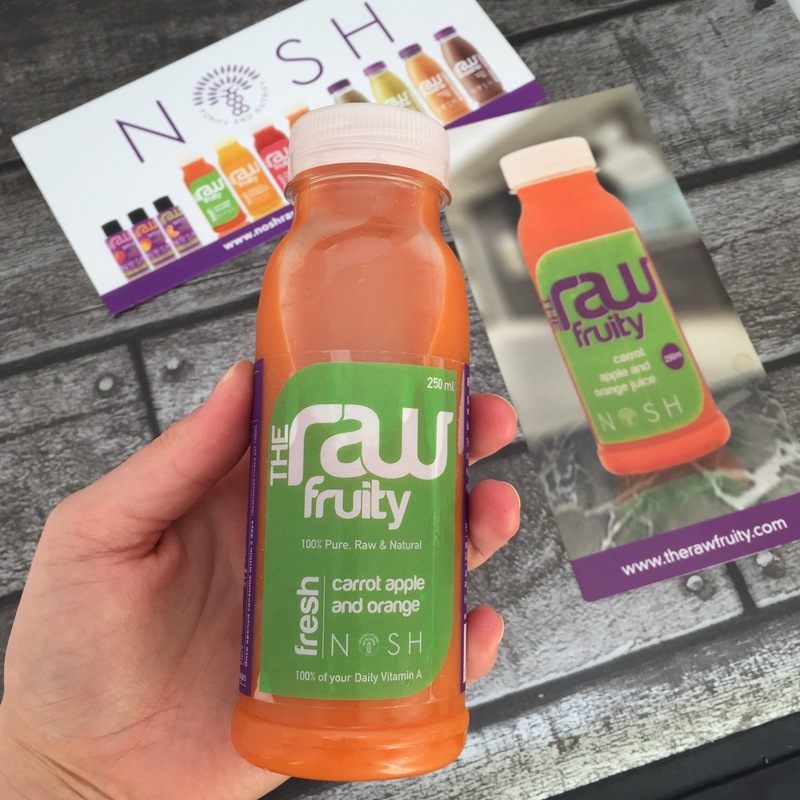 Raw fruit on the go. Natural, unsweetened, delicious. 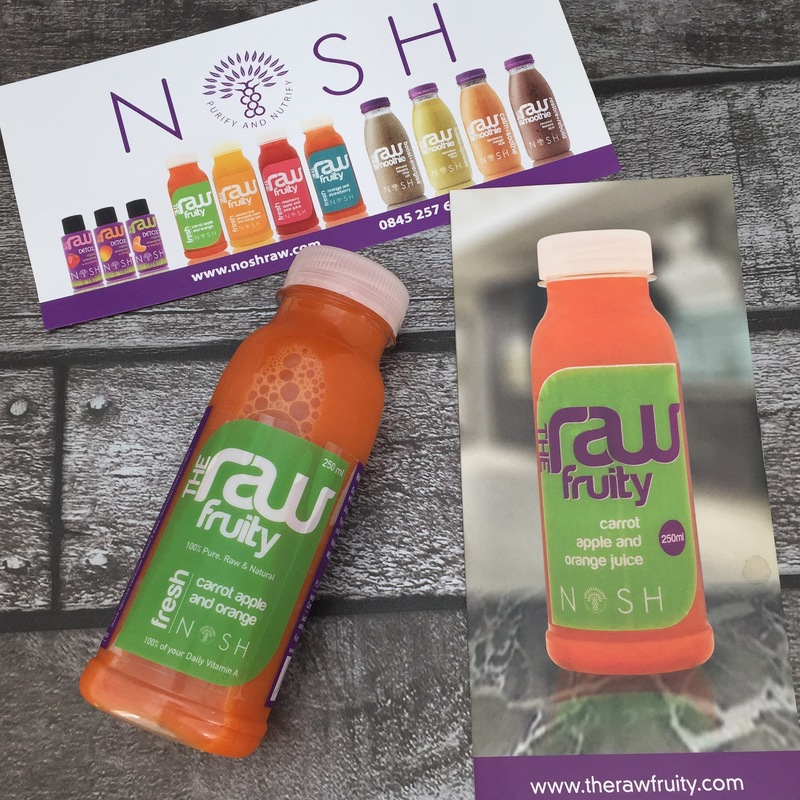 Well being, Well Juiced! 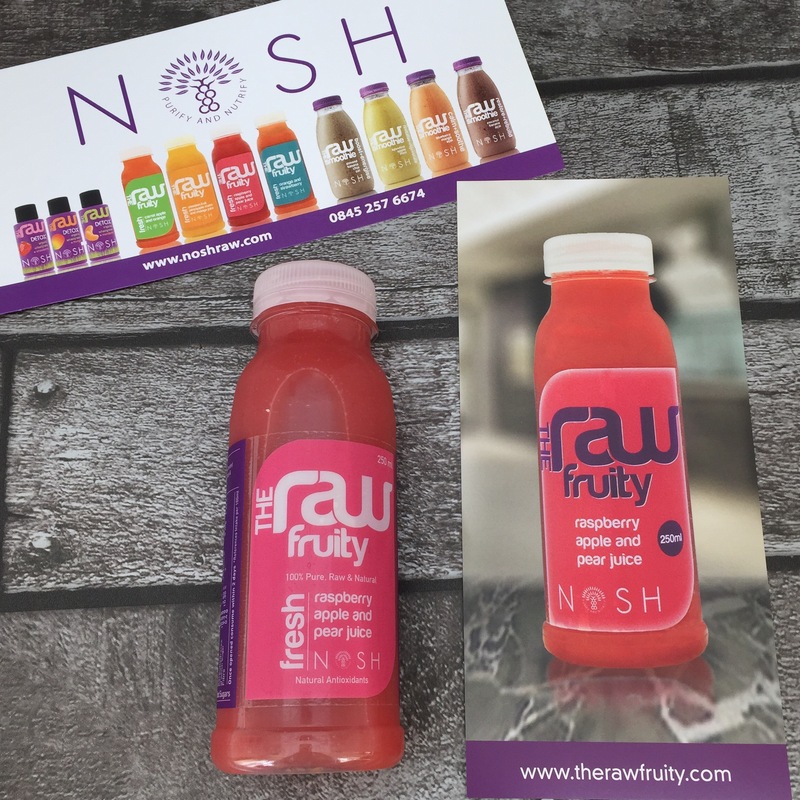 – RASPBERRY, APPLE & PEAR RAW FRUITY JUICE: Blissful explosion of sweet berries – I love love love this juice! Definitely my favourite as it’s sweet (raspberries naturally contain xylitol), tangy and berry gorgeous. 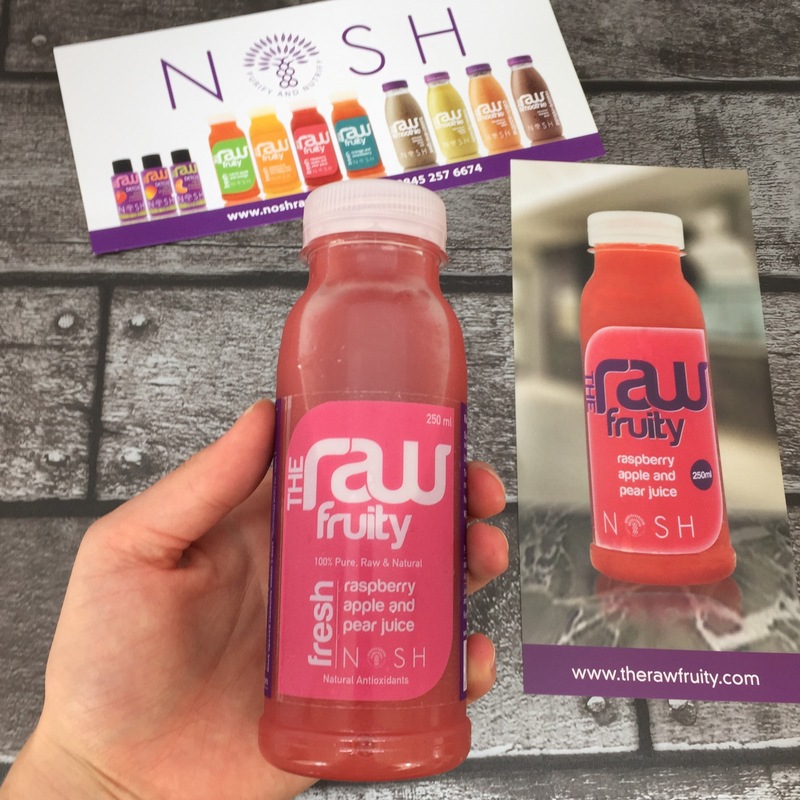 The intense raspberry flavour is exquisite, and of course the ingredients are just 100% raw fruits! Not only is the taste on point, the fruits – apple, raspberry and pear – will also help you to immune your body. Specifically, raspberries are high in Vitamin C; whereas apples are rich in Vitamins A, B & C as well as minerals such as iron; whilst pears contain high levels of boron which helps the body retain calcium and prevent osteoporosis! The incredible immune-building health benefits are just a bonus to the delicious taste, so it’s a no brainer as the perfect drink to accompany your breakfast on-the-go. – RAW VEGGIE AVOCADO, SPINACH & MANGO SMOOTHIE: An interesting combination of veggies and fruits which you might not expect to work but it did actually taste quite good! 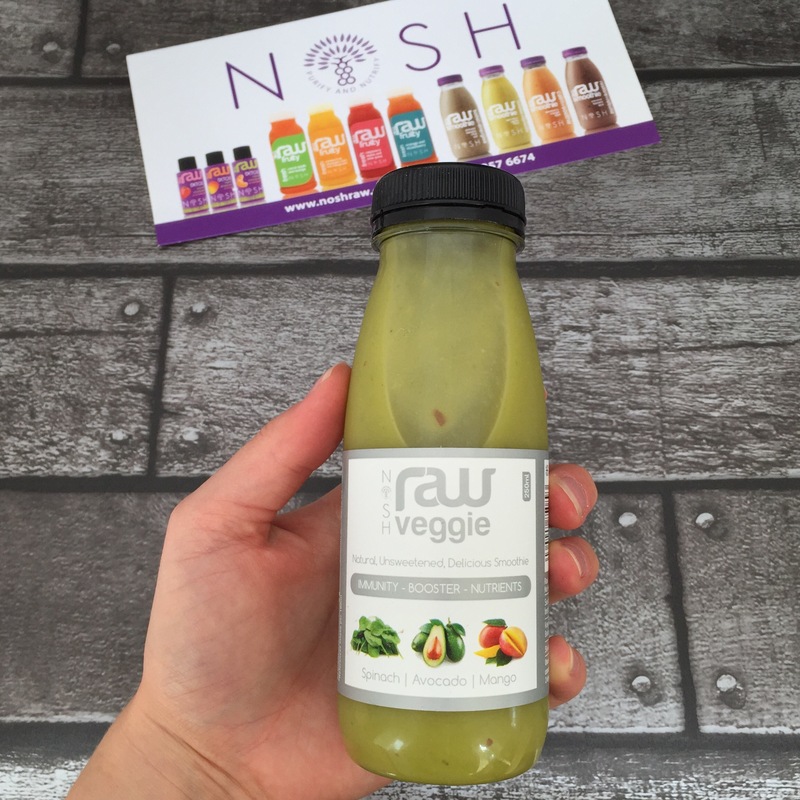 The mango was the strongest flavour with the spinach and avocado subtly adding a hint of green veggies into the mix. The joy of this cleanse is that all green leaves are abundant in chlorophyll which cleanses and hydrates the intestines. 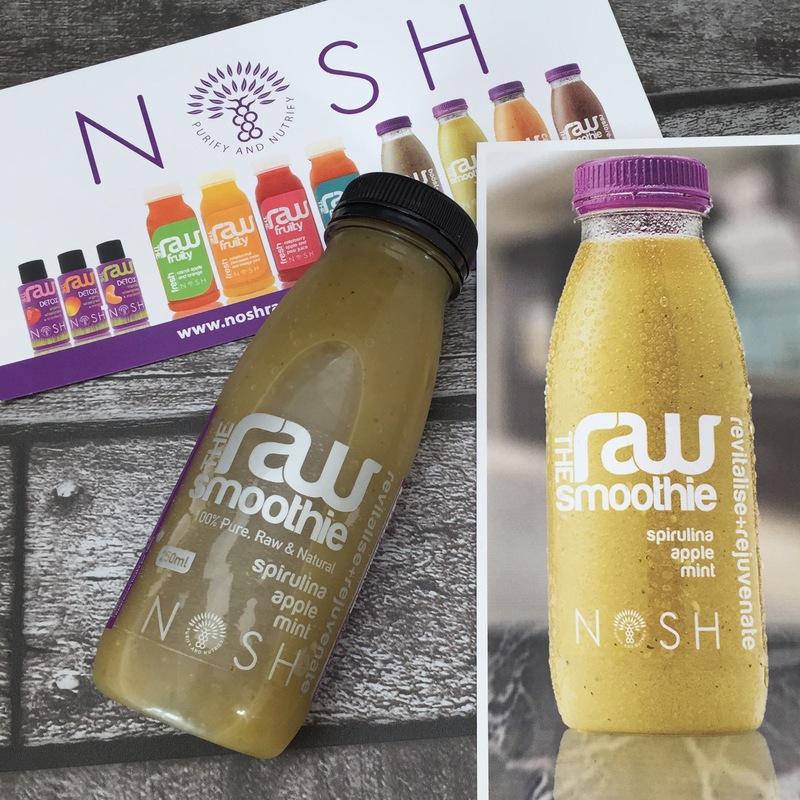 This bottle has more than 50% of your daily requirements on Vitamin A, C & K. With spinach, avocado, mango and apple being the natural anti-inflammatory that boost your energy, this is definitely the smoothie to have along side your breakfast in the morning. 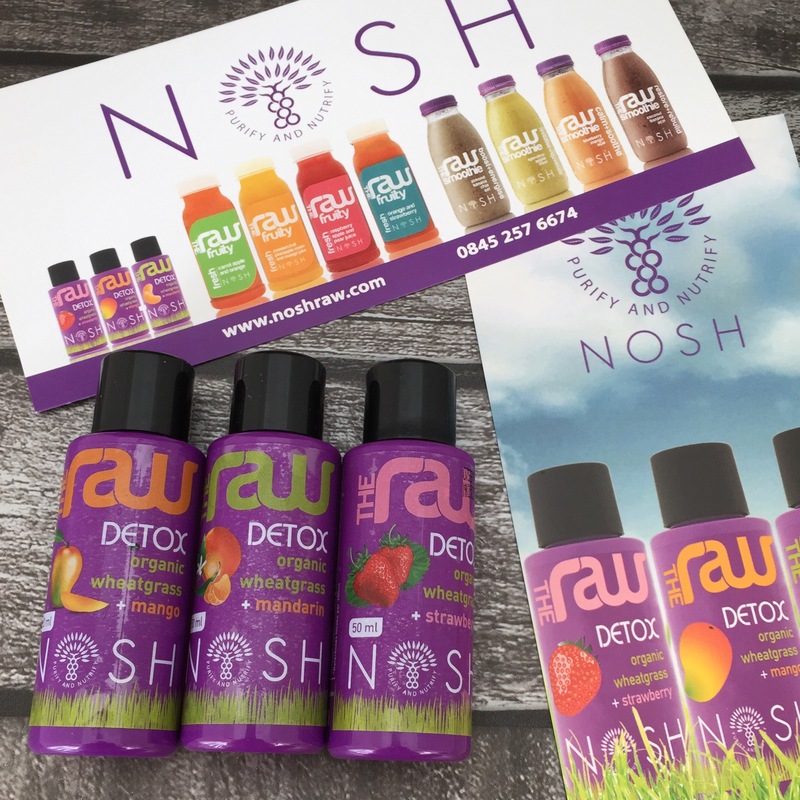 – RAW WHEATGRASS SHOTS WITH FRUIT JUICES: These products come in three flavours: mango juice, mandarin juice, strawberry juice and contain 100% Raw Wheatgrass. I am completely surprised to say that I actually enjoyed drinking these wheatgrass shots! Usually I recoil at even the thought of wheatgrass, but the addition of the various fruit juices make it a pleasurable experience and not so horrifying (mandarin is definitely the nicest one!) The benefits are totally worth the little unpleasant aftertaste – wheatgrass is actually known as the “liquid gold”! It contains 12 amino acids which are the building blocks of protein. It’s rich in chlorophyll, which has a molecular structure almost identical to blood. It helps to cleanse the cells and purify the blood. By having 2 shots per day you will definitely see your body changin. I took a half shot before then the rest of the bottle after lunch and certainly felt the detoxing effect the next morning!